If you’re ready to stop throwing money at your ISP to rent one of their subpar modems, you’re ready to start shopping. But picking a modem from the herd is next to impossible. Many modems have practically identical features, and it can be a chore to identify what all of the technical terms mean. To make matters worse, many modems have only limited compatibility, and many have obscure problems that can show up just when you need a piece of hardware to rely on. In this article, we’ll be reviewing the SB6141 and the SB6183 modems and explaining what makes each modem unique. While these modems may seem to be identical at first glances, like many other modems on the market they’re intended for different groups of users. Both modems are manufactured by Arris, which has a history of creating quality hardware and providing great customer service. The majority of the issues that you might have with these modems will be with your ISP rather than with the modem itself. Notably, Motorola also manufactures these modems, but they have a bad reputation. On the off chance you decide to buy one of these modems made by Motorola, remember to look out for hardware defects, especially being prone to destructive overheating. Neither of these modems is compatible with Verizon, AT&T, or Century Link ISPs. Likewise, neither of these routers has the latest DOCSIS 3.1 channel bonding, which means that they’re confined to fewer download and upload channels. The SB6141 offers eight download channels and four upload channels, which is an interesting arrangement because the upload channels are 50% of the total channels in comparison to the norm of 25. The proportion of channels means that the modem has comparatively higher upload speeds than other modems with the same overall speed cap might have. The SB6141 is DOCSIS 3.0 compatible, which means that it runs on a slightly older and slightly slower standard than the newer DOCSIS 3.1 modems. If your ISP provides you with an upgrade to your connection speed, it’s possible that this modem will become the bottleneck on your connection. If the modem is the bottleneck of your connection, the only way to increase your speeds will be to purchase another modem. With newer modems, this isn’t as much of an issue because their download channels are more numerous such that it’s very unlikely an ISP would ever provide a large enough free upgrade to bottleneck them. Likewise, if you have multiple people in your household doing online gaming, online video streaming, or downloading, this modem may become congested and unresponsive. When the modem becomes congested, it can stop all traffic or potentially crash, depending on how many separate channels are maxed out. This situation probably won’t be an issue unless you have more than two people in your household taxing the connection, however. 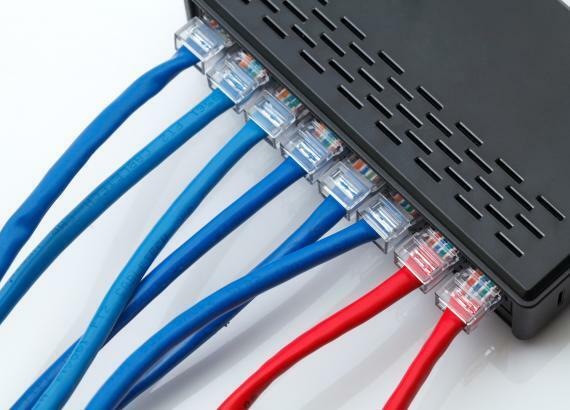 Setting up the modem is very easy and is as simple as connecting the cables to the internet line, connecting the AC adapter, and turning on the modem. If your ISP supports the modem, the channels will automatically bond, and you’ll be able to start browsing within a few minutes. As far as the modem’s firmware goes, the SB6141 has the power of reliability. Unlike with a few of the newer modems, the SB6141 has had a long time to be refined. This history means that you won’t have issues like constant modem power cycling or connection loss if the hardware is functioning normally. The hardware of the SB6141 is sufficient for most home uses. It has only one ethernet port, which means that you can only provide direct access to one router. There is a version of the SB6141 that is also a wireless router. However it’s probably better to buy a separate router and the default SB6141. Older and newer versions of Windows will likely work but are not explicitly supported. Nonetheless, if you’re looking to save money by ditching your ISP’s modem rental fee, the SB6141 is an excellent choice so long as your connection isn’t too fast for the modem to handle. On the off chance that the SB6141 fails, it comes with a two-year warranty. Frequently the term channel bonding is used when discussing the features of these modems. This term may seem intimidating, but the concept that it describes is simple. Your connection to the internet is redundant; all of the information that you send uses more than one channel. Having multiple channels increases the maximum throughput of your connection. For your redundant channels to work properly, they need to collaborate to send information efficiently under the assumption that information is reaching its destination without issue. To do this, the channels must “bond” or combine their power to send information in a unified rather than a distributed way. For the most part, channel bonding is invisible to the user except in cases of troubleshooting. Bonding tends to matter more to your ISP, who will usually have rulesets for the way that your channels are allowed to bond depending on the kind of traffic that they are sending. This paradigm is the origin of why some modems are not compatible with some ISPs. Especially for smaller ISPs, their channel bonding rules may be based on older paradigms of channels. For instance, imagine if your ISP coded its traffic regulation procedures based on most people having routers with only one channel – as was common in the early days of the Internet. If you showed up to your ISP’s connection with a modern modem like the two we’re reviewing today, your modem would have no ability to make use of its bandwidth via channel bonding. Even if you had a modem from the future with lightning speed, you’d be reduced to whatever your ISP supported. The other issue related to channels on your modem is that of download and upload symmetry. Nearly all modems and all connections offered by ISPs are asymmetrical, which is to say that the number of supported download channels is typically much greater than the number of supported upload channels. The result is that downloading is nearly always faster than uploading, in part because most people download more data than they ever upload. The ratio of download channels to upload channels is important because it directly regulates the kind of traffic you can process. If you’re running a software package that downloads a piece of data, processes it, then sends it out to its final destination, there’s not much point in having a modem that is asymmetrical, as most are. In that case, you’d want to maximize the proportion of upload channels to download channels to waste as few channels as possible. For most users, these are edge cases, but if you’re planning on running a software service using these modems, keep these facts about channels in mind. The SB6183 is a much faster version of the SB6141. The SB6183 allows download speeds up to 686 Mbps, and upload speeds up to 131 Mbps. This speed means that it can be twice as fast as the SB6141. With the SB6183, you’ll get fast speeds with a new firmware and hardware package. The new firmware is an improvement over the previous model. However, the new hardware has some issues. Like the SB6141, the SB6183 has a white form factor with plastic grating on the sides and top of the device. The power draw of the SB6183 means that the modem tends to heat up – in short, it needs those heat vents far more than its predecessor did. The SB6183 may overheat if it’s covered by clothing, especially in warmer environments. This overheating is a problem because it means that the modem’s reliability is a function of an external variable. Additionally, the front panel LEDs on the SB6183 are extremely bright – brighter than its predecessor. In short, you’ll be very tempted to cover up the modem if you have it in your bedroom. While the overheating issue isn’t reliably provoked by such measures, the problem remains. This modem is prone to running hot and failing as a result. Chronic overheating will damage the modem, so it isn’t a minor issue. Nonetheless, this modem is very fast, and likely won’t be deprecated for a few more years. The modem is still on the DOCSIS 3.0 standard, which means that it isn’t the most current, but there are so many in active use that ISPs are hesitant to remove it from their list of approved modems. The SB6183’s channels mean that it can take as long as 15 minutes to bond to your ISP’s signal – a bit longer than the SB6141, but still not an appreciable amount of time. This modem provides more than enough speed for online gaming or movie streaming with multiple different users. 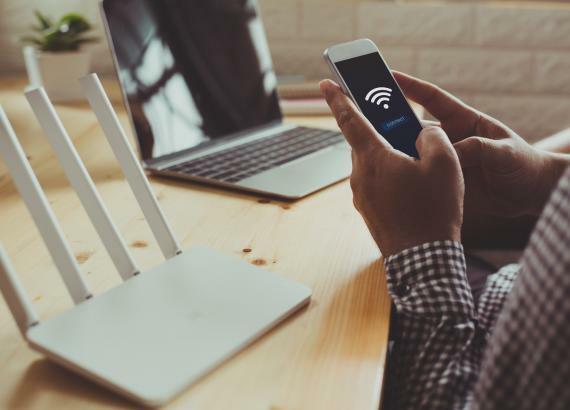 You’ll still struggle to supply enough bandwidth for upwards of four users on these applications, but for small households, it’s more than enough. Because this modem is newer, it operates better in conjunction with newer routers. Older routers should work fine, but they probably can’t get the most out of the speed that the modem can provide. This fact means that if you decide to purchase the SB6183, you need to make sure that your router can handle the speed that you’re bringing to the table with the new modem. It’s entirely possible that you will need to buy a newer router to get the most out of the modem. For a modem like the SB6183, the Netgear AC1750 is a great companion router because it can handle the speeds the modem provides while bringing many traffic-management features to the table. These traffic management features will help the modem to excel even more in the contexts of online gaming, online streaming, and other traffic-intensive activities. If you decide to purchase another router to use with the SB6183, be sure to check for compatibility with the modem. Likewise, your ISP will probably have a few advisories on the routers that work best with the modems that are approved for use with their service. If they don’t, the internet usually has plenty of good tips that will help. The SB6141 is the best choice for people who have slower internet connections that are looking for a reliable modem. Especially for those in smaller households, the SB6141 is more than sufficient, and it’s hard to overstate its reliability. While there is a faint chance of it becoming deprecated, you can probably inquire with your ISP before you buy to make sure. If you’re a gamer or like to stream a lot of movies in a larger household, the SB6183 is the choice that will serve your needs. The faster speed of the SB6183 is necessary for effective use of the internet in households with more than a couple of people, too. With the SB6183, your modem purchase will be somewhat more future-proof, though you’ll still likely have to replace it with a newer model in a few years when your ISP decides to move exclusively to the DOCSIS 3.1 standard. For now, the SB6183 is a safe choice, however. While the SB6183 will struggle in hot environments and will probably disrupt your sleep if it’s in your bedroom owing to its bright lights, the SB6141 will have no such issues. If you anticipate consistently high temperatures, the SB6141 will be much more reliable.